Posted	 July 21, 2018 by	JHSD - Course & filed under 08-Guru Harkrishan, Gurpurbs, Your Stories. 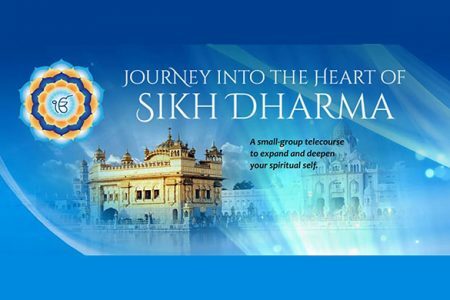 This article is courtesy of Journey into the Heart of Sikh Dharma and written by Guru Amrit Kaur from Virginia. 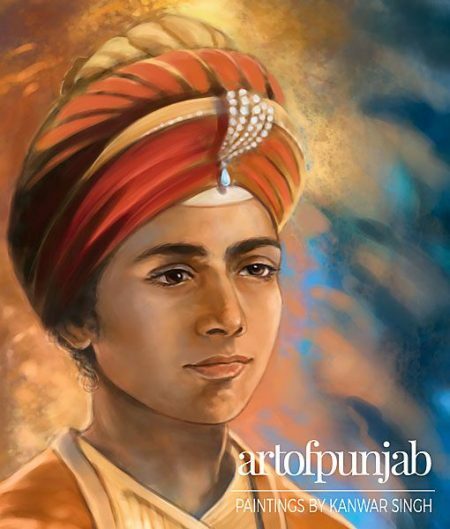 There are so many stories in Sikh history from the life of Guru HarKrishan that uplift, awe and inspire me. The one closest to my heart is probably the most famous. There was an epidemic of small pox in Delhi in 1664. Guru HarKrishan went to the place where the outbreak had occurred and through his blessing, a spring of sacred water appeared that could heal the people of the illness. He took on the suffering and sickness of the area, taking on the small pox himself – giving his life to help save the lives of others. I have always found the story of Guru HarKrishan and smallpox to be so deeply moving and reverential. My heart has always softened when I think of Guru HarKrishan – the child Guru. I am so amazed by his selfless sacrifice, his character, his healing and nurturing nature. In my mind’s eye I see him as a small being surrounded by a subtle aura of warm yellow light with a huge soul – a slight smile on his face because he is naturally feeling the divine presence around him in every moment. I don’t think he gave a second thought or had any doubt at all about healing everyone around him. He completely and naturally surrendered to divine will and happily walked the path of interacting with the sick and healing them. He was totally unconcerned about contracting the disease himself – any physical pain and suffering he might endure, leaving his body at a young age. None of those things concerned him at all. Guru HarKrishan is such a lofty inspiration for me. When I think of his example, I feel called to live in tune with those higher aspects of myself – to push past my inertia, laziness, ego, selfishness – whatever is blocking me from serving wholly, from healing others. Thinking of Guru HarKrishan inspires me to push past my limits and surrender more wholly to God’s will. I still have a long way to go – I am not proud to admit that I still shy away from those I encounter who have a cold or flu for fear of catching it myself – with Guru’s grace I pray I can manifest even one tenth of the natural spirit of selflessness, devotion and healing and service to others that Guru HarKrishan embodied divinely in human form in this life.